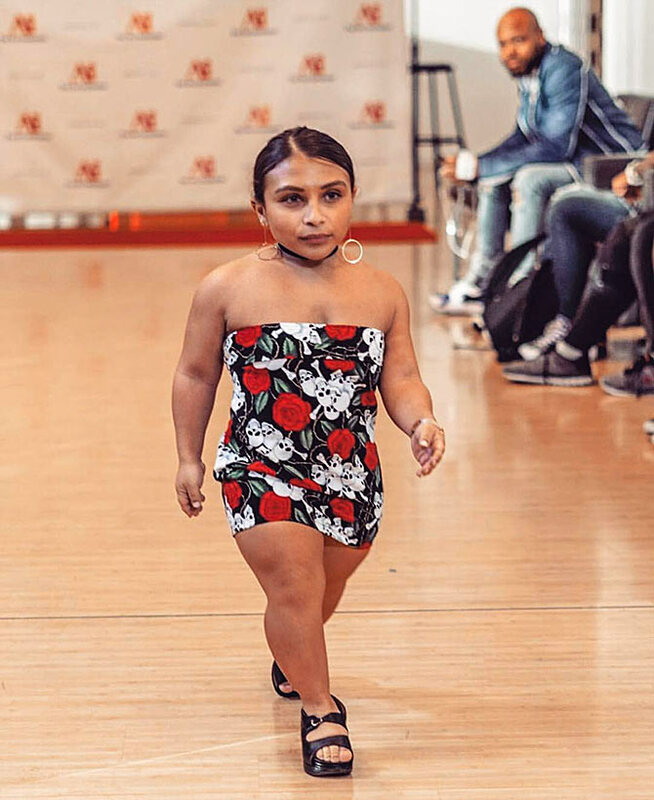 'The life I wanted has already begun, and it's just beginning,' says Instagram influencer and dwarf model Dru Presta. She is 22 and almost half as tall as a runway model. But that hasn't stopped Dru Presta from walking the runway or endorsing a lingerie brand. With half a million followers, Dru Presta is an Instagram influencer who talks about body positivity and mental health. She inspires people of all ages with her unabashed attitude and pep talk. Take a look at these pictures and you'll be amazed at her style and confidence. She is very clear about her New Year resolution. 'This year is about to be even more about ME. 'No more apologizing for who I am. On International Day of Persons with Disabilities, she shared this picture of her modelling for Parfait and wrote: 'A state of mind has so much power. Remember that when you think of a negative comment about yourself or others. Start changing that and no one will see a 'Disability person' but just, a PERSON. She says it is important to remind yourself that you are beautiful just the way you are. 'The ocean, the beach is what calms me, rejuvenates my soul,' the beach lover added. That's her with her gang of positive girls who inspire and empower her to chase her dreams. On her 22nd birthday, she posted this picture from a few years ago and shared her little story transformation. 'This photo shoot started it all,' she said. Who cares want everyone else wants, it's what YOU WANT. The life I wanted has already begun, and it's just beginning,' she shared. Dru joined Instagram in 2012 when she was only 16. Today, she is on her way to have her own line of clothing.